From 7th to 11th April 2019, Br. 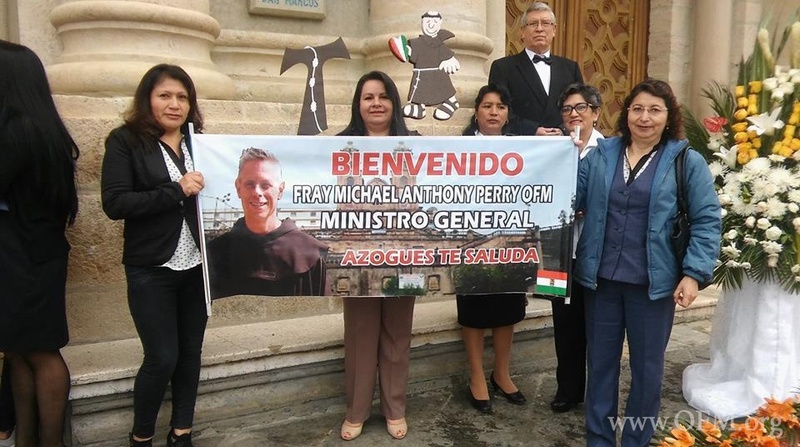 Michael Anthony Perry visited the Province of St Francis of Quito accompanied by Br Valmir Ramos, Area Definitor. 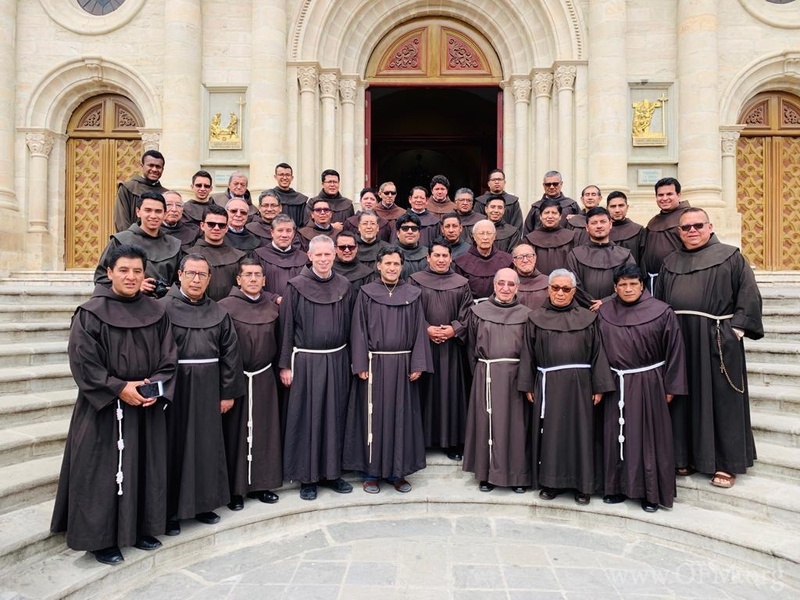 The visit began in Quito, where the Minister General was received by the brothers of the Province and met with them in the St Francis Friary. 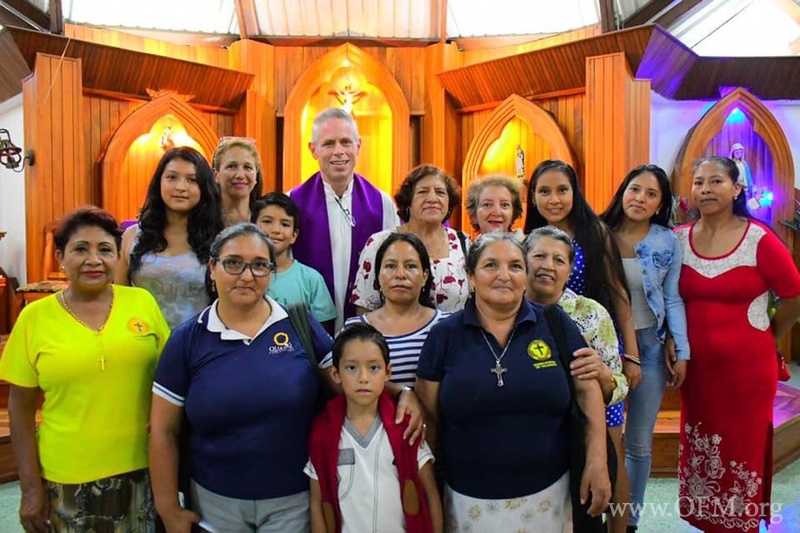 On Sunday, the 7th Minister General presided at Mass in the Basilica of St Francis where the local community filled the Church with great devotion. In the morning, Br. Michael met the Archbishop of Guayaquil, Bishop Luis Cabrera Herrera. 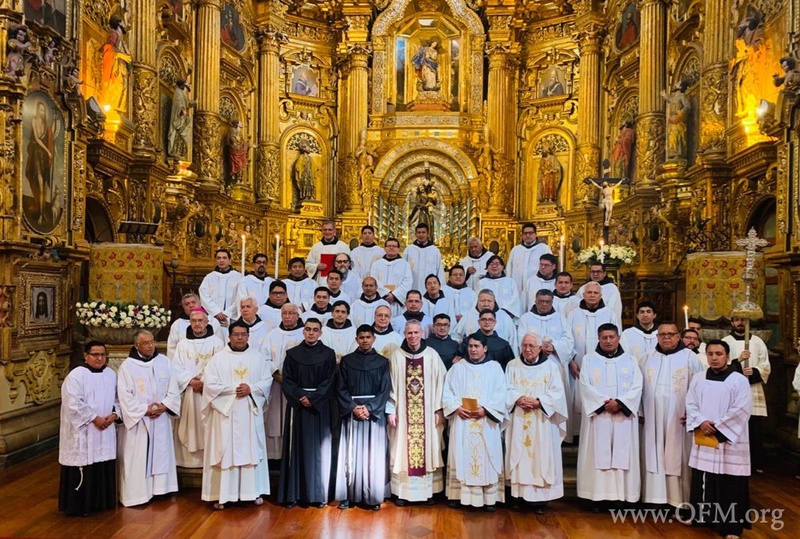 Monday was a day of celebration for the Provincial Fraternity with the solemn profession of 4 brothers. Br Michael presided over the ceremony and received their vows. In the morning he met with the Provincial Definitory listening and discussing the Order’s outlook with its challenges for the future. The Minister then met the brothers of the North, of the Centre and the Ecuadorian Coast. 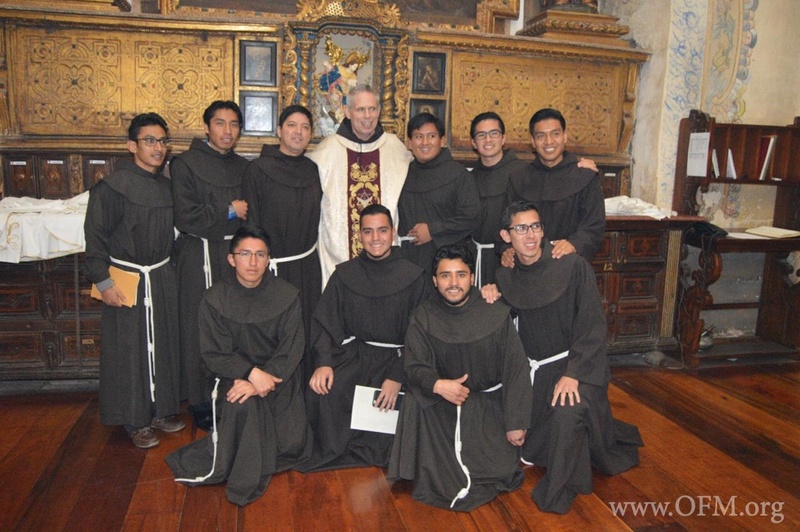 In the afternoon, still in Quito, he met with the Franciscan Family in the Church of St Francis. Br. Michael also discussed and listened to the concerns of the brothers and sisters who want to grow in the Franciscan spirit. The same day, the Archbishop of Quito, Fausto Gabriel Trávez Trávez, OFM, attended the luncheon. On the 9th Br. Michael met the brothers of the South-East zone and Coast in Azogues, in the friary of Our Lady of the Cloud. Arriving very early, he was received by the students of the Franciscan College and by the faithful of the local Church. 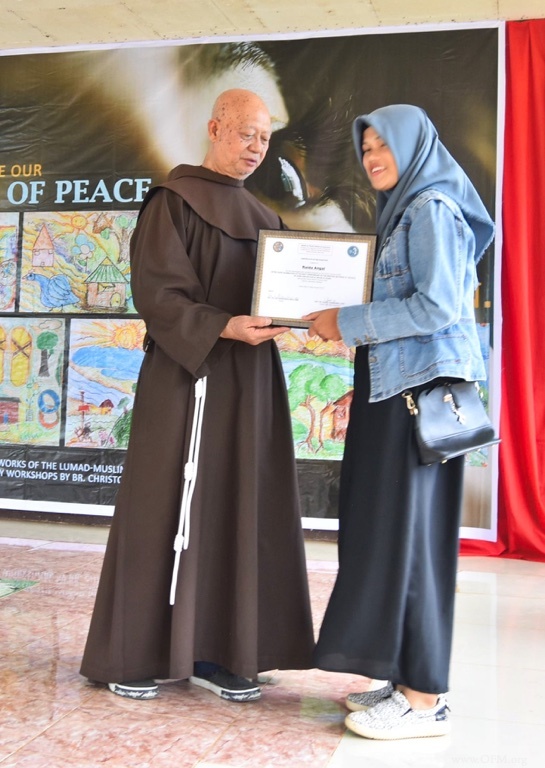 In the afternoon he met the Poor Clares Sisters and Conceptionist Sisters from the area, in the Monastery of St Clare, and he shared the joys and challenges of the Order in the world with them. 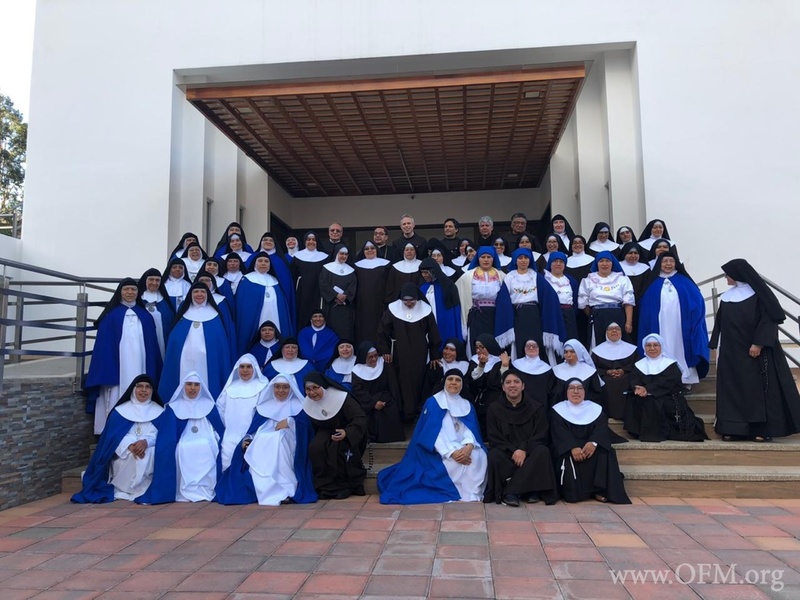 The last stage of the visit was to the Vicariate of Galápagos, in Santa Cruz Island, in the house of the missionaries of the Province. 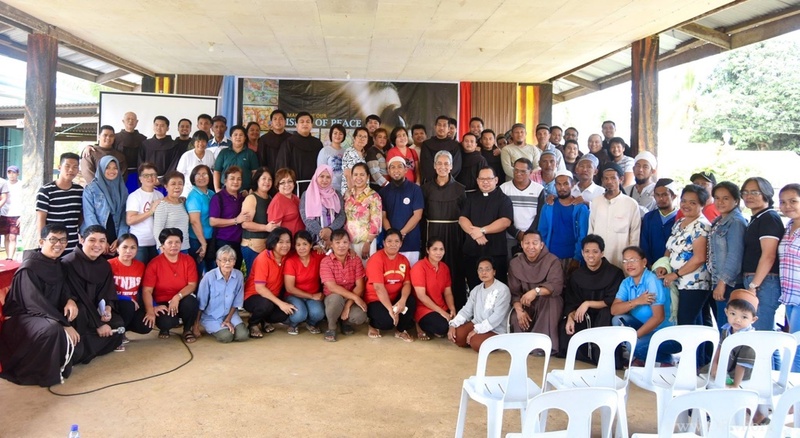 The Bishop, Patricio Bonilla, OFM, also participated and celebrated with representatives of the various parish groups. 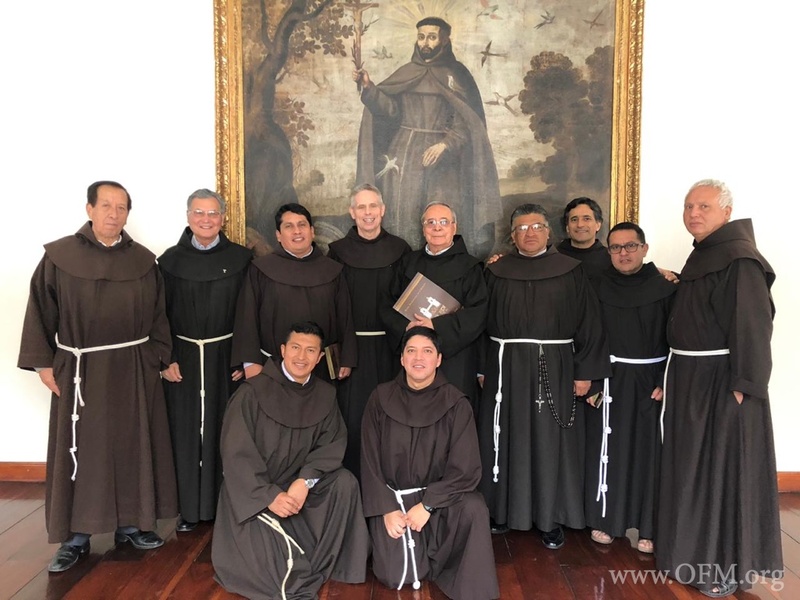 On the evening of the 11th, in Quito, there was an opportunity for a brief meeting with the Apostolic Nuncio, Archbishop Andrés Carrascosa Coso, who spoke about his esteem for the Franciscan Order and its concerns. On Friday, 12th April 2019, in the Colombian city of Itagui, Br. 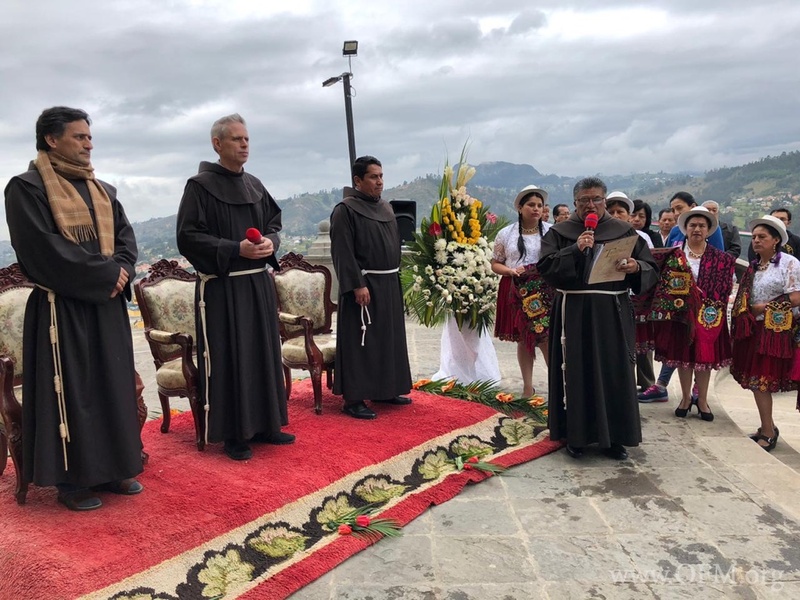 Alberto Montealegre González OFM, member of the Franciscan Province of Santa Fe, in Colombia died at the age of 95. Br. Alberto was born on June 21, 1923, in Florida-Valle del Cauca-Colombia. He entered the Order of Friars Minor in 1940, professed in 1941, and ordained a priest in 1948. Br. Alberto was a Doctor of Pedagogical Sciences at the Catholic University of Leuven. He was Professor and Rector of the Pedagogical International Institute of Rome-Grottaferrata. He was both Definitor and Vicar Provincial of his Entity, Definitor General of the Order (1965-1967), Secretary of the General Chapters of Assisi (1967) and Madrid (1973); peritusduring the General Chapter of the Order held in Medellín, Colombia (1971), Visitator General of 9 Entities of the Order. He was Founder of St. Bonaventure University in Cali and Cartagena de Indias (Colombia), Rector of the University of St. Bonaventure in Colombia, Rector of St. Bonaventure University with headquarters in Bogota and the local section of Cartagena de Indias, and member of the International Commission for the Antonianum Pontifical University in Rome (1999-2000). Since 2013 he lived in the Provincial retirement home in Itagüí (Ant). We express our deepest condolences to the brothers of the Province of Santa Fe as well as to the members of the Montealegre family. I want to invite you to experience the mystery of the Passion, Death and Resurrection of the Lord considering this event based on what I wrote last 7th January in a letter to the entire Order about this important anniversary. It urges us to abandon fear and literally open the doors of our mind, allowing God to operate in an unprecedented way in the hearts of men and women of good will who fight without distinction to promote social justice, moral good, peace and freedom to the benefit of all (cf. Nostra Aetate 3). Allow me, then, to look at a gospel passage that we will hear on the second Sunday of Easter. 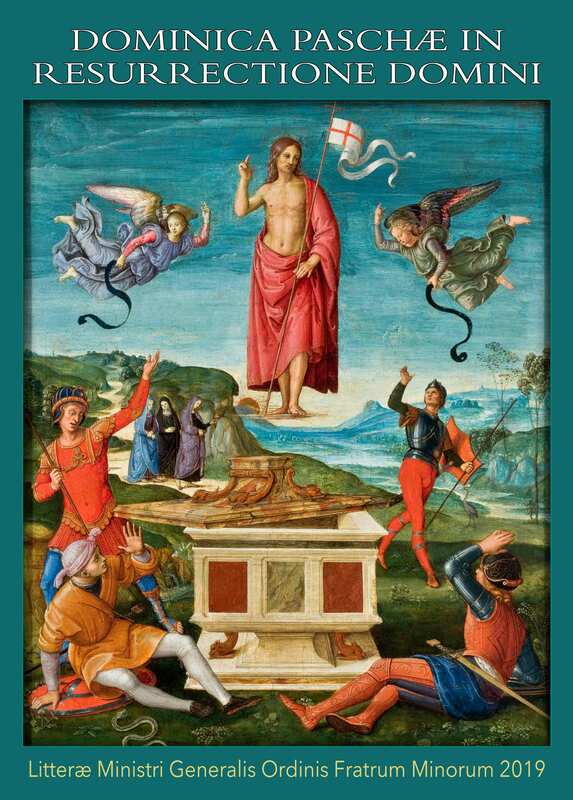 It is one of the appearances of the risen Jesus not only to a few but to all the disciples gathered in the upper room “on the evening of that day, the first of the week,” according to St John’s account (cf. Jn 20:19-31). This passage tells of two appearances separated by eight days. I think that these two moments will help us to establish a context to understand better a progression in the faith not only of Thomas but of all the disciples who have the privilege of contemplating the presence of the risen Jesus with their own eyes. The doors of the house were locked for fear of the Jews. The text begins with the expression: “when it was evening on that day.” This phrase is not there by chance but is part of the narrative style of the evangelist, who likes to present natural scenarios of contrast. In this case, we can imagine a room without much light, where it becomes difficult to even recognise the faces of others, even those closest. This expression could represent uncertainty, discouragement and, consequently, the fear faced by those gathered together. Fear of the future, of the different, of risk, of change, perhaps thinking that something might be lost and, therefore, they have the “doors locked tightly.” The feeling of the disciples is quite understandable, having seen what happened to Jesus on the cross. Maybe they need time to assimilate, or something to stimulate their desire to be freed, to go out, to seek the light, the desire to transform that first day of the week that is ending, into a prolonged thanks for a new hope that they cannot yet see. The sign of the closed doors represents a very human situation to protect the few securities that they have as well as their very selves. Jesus came and stood among them. Without going into theological or exegetical debates about Jesus’s appearance, passing through the walls with a body of unique characteristics, I think instead about Jesus’s power to “enter” that place despite finding the doors closed. In this, as in so many other episodes, we see the narrative strategy of a changed situation, characterised by a transformation of circumstances, generally the result of divine initiative. In our text, after Jesus speaks the words: peace be with you, and having shown them his hands and his side, the gospel emphasises that the sadness and fear that overwhelmed them was transformed into joy when they saw the Lord (v. 20). The text is so splendid that it shows a kind of roadmap for someone setting out on the adventure of faith. Jesus could have chosen a different occasion to appear and even other circumstances. However, he chose a moment characterised by the apostles’ fear and the absence of one of their number, Thomas. He will be one of the central characters of the passage, and I would like to pause for a moment to consider Thomas while we examine the second appearance. Eight days pass! Why did he let so many days pass? Why not remove all doubt in the shortest time possible to dispel Thomas’s uncertainty when he heard: we have seen the Lord? The name Thomas means twin brother. Didymus is a Greek word that the evangelist used to translate the Aramaic Ta’oma’. Behind this translation game, as the fourth gospel frequently shows, there is a theological purpose. Didymus means twin. The twin is a double; he is one that resembles another and, in the text, Thomas plays a role marked by two moments: he is dominated by doubt that he later resolves when he meets the Lord and is at the same time our twin because he represents us directly in the story. It is he who can meet the risen Lord on our behalf face to face after an episode of disbelief, making the highest profession of faith that the Gospel of John could record: My Lord and my God. Thomas has seen and touched the wounds of Jesus. The text speaks of the sign of the nails; the risen one has a body marked by a story of pain and death. So, Thomas is our twin, he touches the wounds on the body and recognises not only that he is a healthy man, but that he is also God in person. A history of pain and death that is repeated whenever human beings are unable to recognise the differences and richness of diversity. A history marked by a dominant mindset that has used the name of God to reaffirm itself and believe itself the repository of the absolute truth about God, even attacking and killing to defend a doctrinal position. That was the dramatic scenario of the Middle Ages in confrontation with the Islamic religion, and sadly we see this even today in some countries where minorities are not well regarded. Let us listen to our Holy Father Francis. Probably many think that a reflection of this nature, or the significant approaches that the Church and Pope Francis have made, do not correspond to the harsh reality that still exists today in countries where Christians and Muslims live together. There are those who think that talking about dialogue or demonstrating openness to an eventual encounter is a sign of weakness and a lack of reaffirming our identity. Pope Francis has been harshly criticised in certain parts of the Church for his gestures of openness towards other faiths, saying that this weakens the image and reputation of the Church and Christians in general. Regarding such opinions, I would merely like to affirm that a simple gesture of union and openness turns out to be more powerful, eloquent, effective and prophetic than the desire for self-promotion often based on self-centeredness. I would like, therefore, my beloved brothers, to invite you to experience Easter this year in the light of this notable event. It is true that an option such as that proposed by the Pope may represent a certain risk and may generate fear and uncertainty; something like what the apostles experienced in the upper room behind closed doors. However, the Pontiff encourages us in his encyclical: “I prefer a Church which is bruised, hurting and dirty because it has been out on the streets, rather than a Church which is unhealthy from being confined and from clinging to its own security” (EG 49). 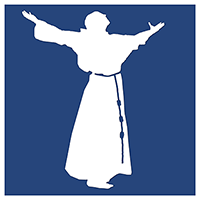 I dare to make this invitation to all my brothers of the Order, to my beloved Poor Clare and Conceptionist sisters and to all men and women of good will who are close to the spirituality of the Saint of Assisi. Let us go forth, let us go to meet what is different, let us open the doors so that new air may enter, the breath of the Spirit (cf. Jn 20:22) who wants to open our eyes to a reality that is new and also fascinating. Do not think that this is a sign of weakness or rejection of our convictions; instead, believe that a world as plural as ours has urgent need of eloquent and prophetic signs that invite people to a healthy and civilised coexistence. The poor man of Assisi was a sign for his time and remains so after eight centuries. I think we cannot be content with the idea of commemorating an event like this if our heart does not open to the experience of the other. Living the Passover this year will mean following the proposed itinerary of John’s Gospel. Without ignoring the trepidation and the desire to lock doors out of fear, it tells us how the event of the resurrection of Christ can transform our sadness into joy (cf. Jn 16:16) and our fear into courage to profess in word and with our lives, that Jesus has risen and that he is our Lord and our God (cf. Jn 20:28). I wish you all a blessed and Happy Easter! The Lenten devotion of praying the Way of the Cross put us in Jesus’ footsteps during his last hours on earth, says Fr. Clifford Hennings, OFM in this video. 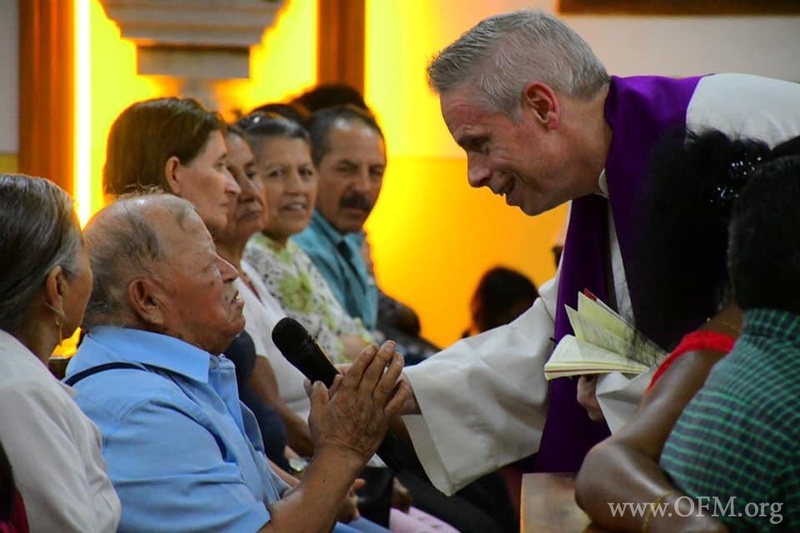 In Catholic churches all around the world, and especially in Franciscan churches, Lent is a time in which we walk the Stations of the cross. That’s what we do in preparation for Holy Week, and maybe for some of us it’s just so ingrained in what we do for Lent that we never really sit back and think, Well, what does is all about? And where does it come from? I mean, historically speaking, the Franciscans have a lot to do with how it became a cultural practice within the Church, to do this. And predating the practice of Walking the Stations in the church, or maybe outside in a garden, predating that, people often actually went to the Holy Land, and millions of people still do to this day. I think it reflects the sense that our faith isn’t just something that we think about, and our spirit isn’t something that is totally just in our hearts; but that we are physical beings that long to express our faith in physical ways. It’s why we want to go to the Holy Land. We want to see where Jesus wept in the garden. We want to see the place where he was crucified. And we want to touch the place where he was buried. It’s a part of who we are that just says, we may love a family member, we want to hug them and we miss their [voice, but] even talking on the phone doesn’t quite cut it. We want them to be here. And even just looking at a picture sometimes can be a lot more impactful on us than just thinking about them. And so I think when we’re in the Lenten season and we’re recalling what Jesus has done for us, acting it out, walking the steps as a community helps put us in the physical presence a little bit more deeply. And the story of what Jesus has done for us becomes a little bit more real, and we can almost see it. And so I think that’s why the practice of the Stations of the Cross is so important throughout the generations. Because even if times have changed, the fact that we are physical human beings who know what it is to suffer…we know what it is to fall down! We know what it is to have our friends leave us behind when we’re going through a hard time! And when we walk through that story, we can relate and put ourselves in that place with Jesus. Which in turn maybe makes him a little bit closer to us, in our experience. 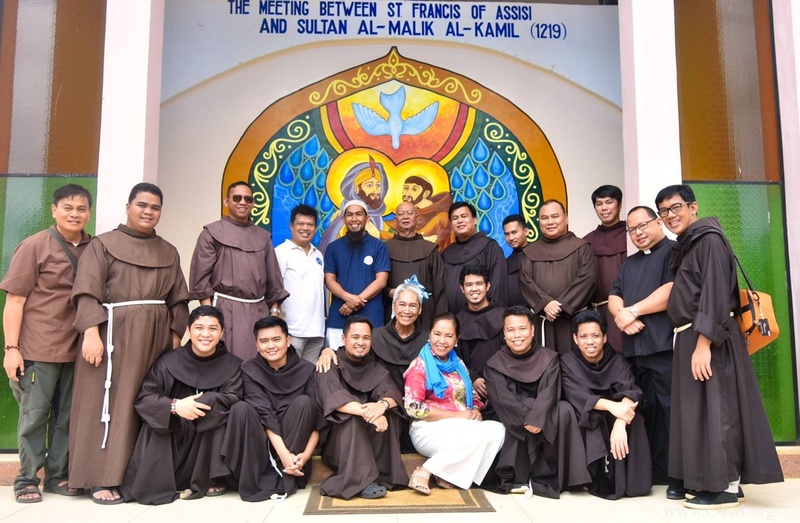 The Custody of St. Anthony of Padua in the Philippines is one with the Church and the Order in celebrating the 8th centenary of the meeting of St. Francis and Sultan Al-Malik Al-Kamil. 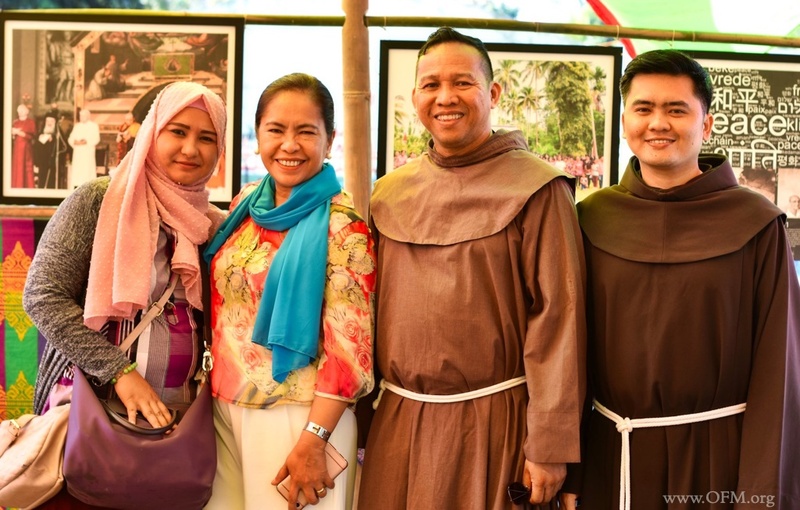 One of the highlights of the series of year-long activities is the interfaith forum held on April 2, 2019 in Tairan (Basilan) at San Roque Parish, a vibrant multi-ethnic and multi-religious community, administered by the Franciscans. The main talks were given by two scholars in the field of dialogue: Br. 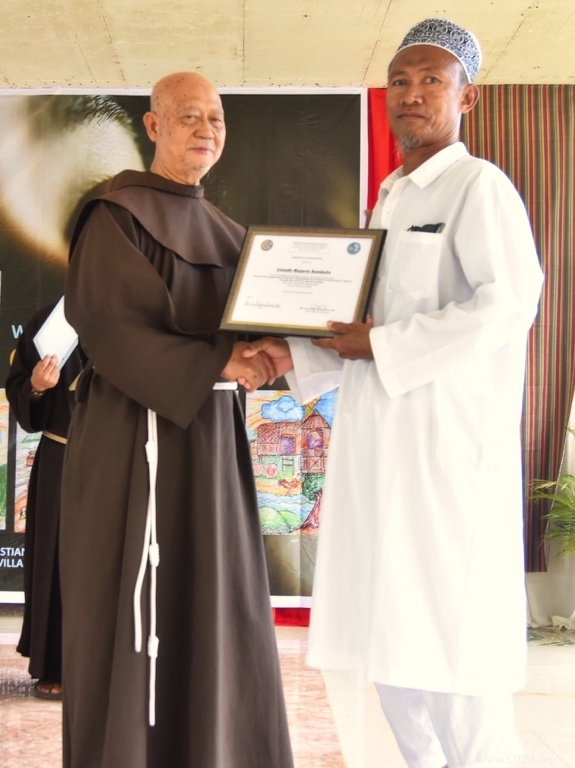 Antonio Rosales, OFM and Ustad Garson Hamja. Br. 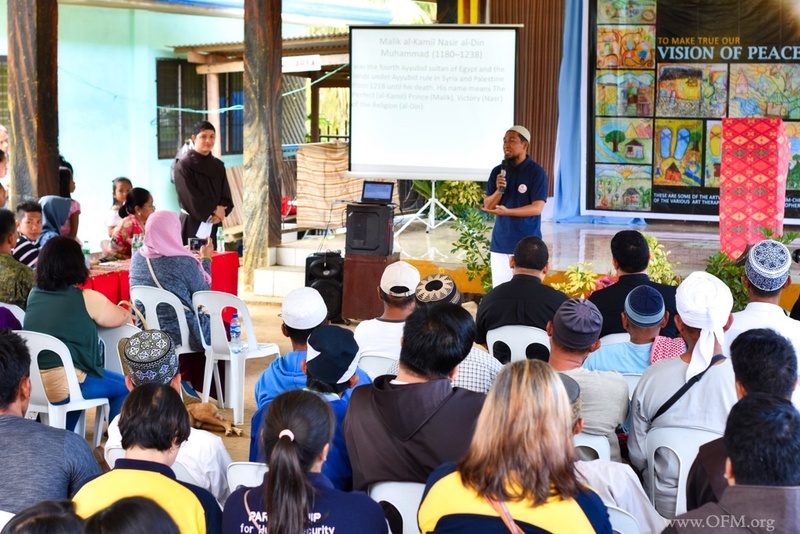 Antonio narrated the encounter between the Sultan and the Saint from the Christian perspective and how it influenced the paradigm of mission as dialogue. 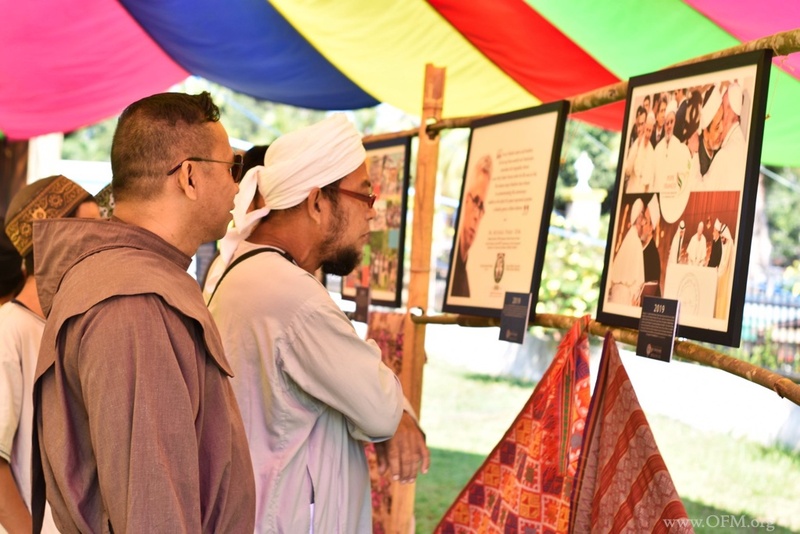 Ustad Hamha gave a brief biography of Sultan Al-Malik Al-Kamil and the traits that made him beloved by his subjects and Christians alike. 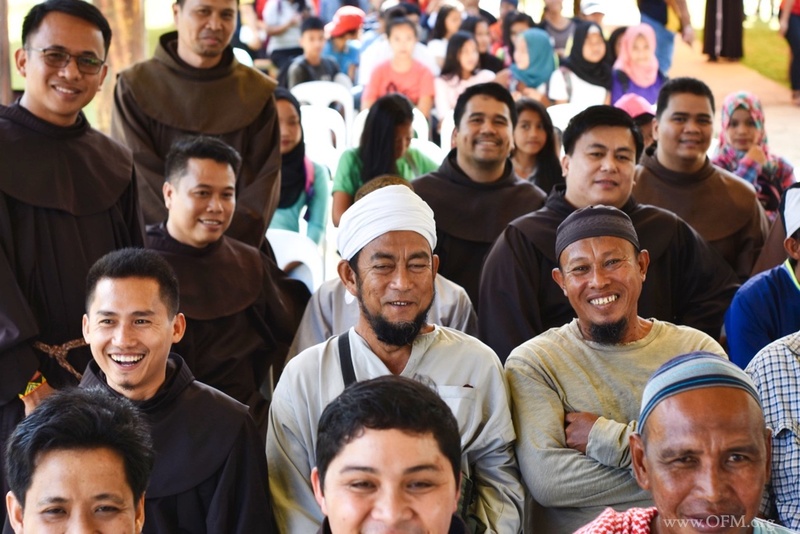 The forum was attended by the local Christian laity, friars of the Custody, members of the Order of Secular Franciscans, local clergy and students. From the Muslim community, many of its members, leaders and local politicians were present. 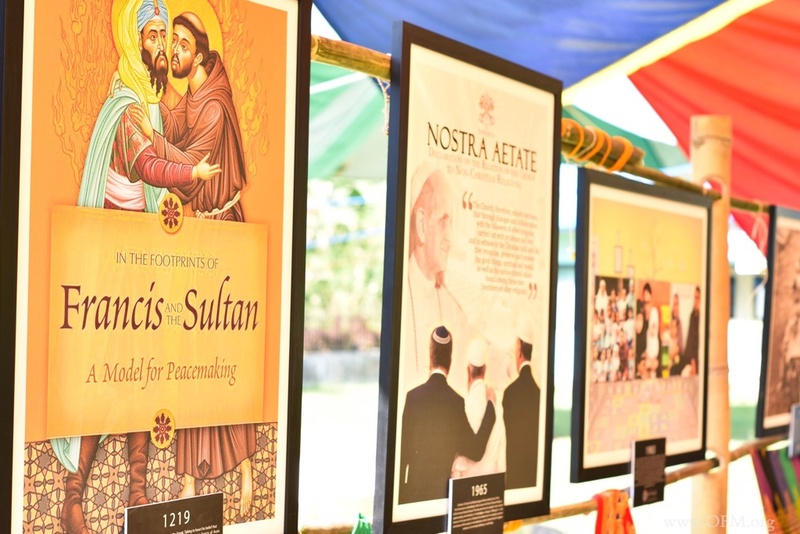 The gathering was enriched by other activities including interpretative dances of the Muslim and Christian youth, a photo-exhibit featuring the chronology of the Franciscan presence in Mindanao and the unveiling of the commemorative mural of the encounter.